Scoutreach is the BSA’s commitment to making sure that all young people have an opportunity to join Scouting, regardless of their circumstances, neighborhood, or ethnic background. The mission of Scoutreach is to recruit strong adult leaders and to develop solid relationships with chartered organizations in urban and rural communities nationwide to ensure that culturally diverse youth have the opportunity to join the Scouting program. 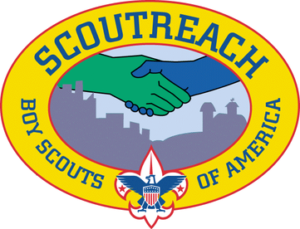 Skagit District is unique within the Mount Baker Council in offering a Scoutreach Program, which currently includes two Cub Scout packs focused on the Hispanic/Latino community. Pack 4268, chartered by Children of the Valley in Mount Vernon, was established in 2015, and Pack 4217, chartered by Catholic Housing Services in Mount Vernon, was established in fall 2017. For more information on these packs and Skagit District Scoutreach, please contact Marie White at harkinwhite@hotmail.com. Skagit District is looking for Spanish-speaking adult volunteers who may be interested in assisting with these Cub Scout packs.